The numbers of drunk driving injuries and fatalities are beyond startling. They’re frightening. According to the Centers for Disease Control and Prevention, about 30 people die every day in motor vehicle crashes involving drivers who had become impaired by alcohol consumption. That’s a death about every 51 minutes. Every two minutes, somebody is injured in a drunk driving accident. In 2013, the Federal Bureau of Investigation concluded that about 300,000 people drive drunk every day. It found that only about 4,000 per day were arrested. Drunk driving statistics for 2014 were released by the National Highway Traffic Safety Administration (NHTSA) in the last quarter of 2015. As per the NHTSA, there were 9,967 deaths involving alcohol impaired drivers in 2014. Those fatalities accounted for an astounding 31 percent of all traffic fatalities. The scary fact is that the final numbers aren’t in yet for 2015, but the NHTSA says that deaths from alcohol impaired drivers in 2015 are up by 8.1 percent. If the drunk driver is caught by law enforcement, he or she will face a criminal prosecution. It’s unlikely though that a criminal prosecution will bring you the compensation for your injuries or the loss of a family member. You’ll need to file a civil case. In the criminal case, the prosecution must prove the drunk driver guilty beyond a reasonable doubt. In a civil case, the burden of proof is lower. You need only prove your case by a preponderance of the evidence. Drunk driving accidents in providence are preventable because people choose to get behind the wheel after drinking. We’re experienced, aggressive, successful but compassionate. Victims of drunk driving crashes deserve to be fairly compensated. 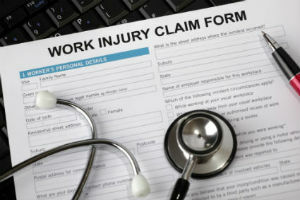 If you have been involved in a work-related accident in Rhode Island and suffered injuries, you have likely filed a workers’ compensation claim. The amount of funds you received probably covered your time away from work and the cost of ongoing medical expenses. However, there are often available options to file claims for additional compensation above the minimal pay obtained through workers’ comp. In many incidences, when employees are hurt in an accident on the job, they often assume they will be protected by the law and fairly compensated for their losses. Unfortunately, the amount of funds obtained through workers’ compensation are usually only enough to pay for medical bills and lost wages. In many incidences, injured victims receive minimal benefits that are often not adequate enough to support their family as they heal. However, there may be additional benefits available through filing a claim against third parties that might also be responsible for your injuries. Only a skilled Rhode Island personal injury attorney can determine that for sure. If your work site injuries were caused by the negligence, abuse or reckless actions of parties other than your employer, you are likely entitled to file a third party negligence claim in Providence Superior Court. Third party liability happens when a Rhode Island worker is injured while performing their job or suffers from a job-related illness. If people or entities other than your employer caused your injuries, you can likely file a claim against them for compensation. Filing a third party claim over an accident occurring while working might involve negligence by subcontractors, contractors, vendors or other companies. If so, you can file a claim in Rhode island courts against all responsible parties to obtain full financial recovery over and above your workers’ compensation benefits. This is advantageous because workers’ compensation in RI does not pay for pain, suffering, anxiety and other compensatory damages. If the negligence was egregious, a Rhode Island personal injury attorney might be able to fight for punitive damages as a way to punish those that caused you harm. Be careful some, RI workers compensation paper pushing lawyers are not experienced in handling the complexities of a negligence cause of action in Providence Superior Court. Handling your third party claim can be a complicated process that often requires the skills of a competent Providence personal injury attorney who specializes in work-related accidents. Many times, defendants in a third party claim will point fingers at employers or other entities as a way to avoid paying compensation to the victim. • Your Driving Accident Involved Other Parties – A RI car accident attorney might show that your injuries are the result of a vehicle accident occurring while you were working. This could mean you could file additional claims against the insurance policy of the other drivers involved in the accident. You might also be able to file a claim against an automobile manufacturer if it is determine the accident was caused by a defect. • Other Contractors Caused Your Injury – It might be that your construction site or work site accident involved a slip and fall because other contractors failed to maintain a clean work environment. • Other Parties Caused Your Work-Related Illness – If you are suffering from a work-related illness like mesothelioma caused by exposure to asbestos or other hazardous materials, you might be able to file a claim against property owners, building contractors or others. • Defective Machinery Caused Your Injuries – If your injuries were caused while using defective machinery, you are likely entitled to file a claim against the equipment manufacturer or leasing company if the machinery was rented. Filing a third-party claim against all responsible parties might be the only opportunity you have to seek justice. It is essential to hire a skilled Rhode island personal injury attorney who can handle your case. This a legal article authored by Rhode Island criminal defense lawyer, David Slepkow. Mr. Slepkow is a also a RI drunk driving criminal defense attorney. 1) Should I refuse a Breathalyzer test in Rhode Island? The answer is – “it depends”. There is no good definitive answer to this question in Rhode Island. The only proper answer is it depends on the circumstances. If you refuse the Breathalyzer test, your license and/or privilege to drive in Rhode Island will be automatically suspended after the arraignment but prior to any hearing or disposition of the matter on the merits. If you refuse a Breathalyzer test, the chances of winning are relatively slim. In a Breathalyzer case, the state must only prove that they had probable cause to arrest you and reasonable suspicion to believe that you are operating a motor vehicle in Rhode Island while intoxicated, that you were properly read your rights, and that you did in fact refuse the Breathalyzer. Even if you refuse, the state will typically still charge you with criminal DUI based on the officer(s) observations. Many, but not all, town and cities will dismiss the criminal observation case if you agree to take a plea for minimum sanctions (at least 6 months) at the refusal hearing. 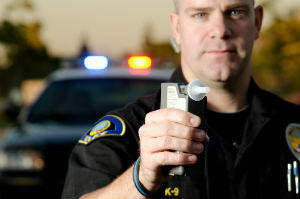 If you take the Breathalyzer test and fail it, you will be charged with a criminal DUI. These cases are much more difficult for the prosecution to prove than a Breathalyzer refusal. Your chances of winning a criminal DUI case is much greater than a refusal case! If you take the Breathalyzer, you will not automatically lose your license at the arraignment (as you would in a refusal case). You will only lose your license if you are convicted. In other words, you can drive while the case is proceeding. If convicted in a criminal DUI case first offense, you will lose your license anywhere between 3 months to 6 months. If convicted, you will also have to take driving classes, do community service and obtain expensive insurance for your vehicle. In a criminal DUI, the state must not only prove probable cause to make the arrest, they must prove beyond a reasonable doubt that you were too intoxicated to operate a motor vehicle in the State of Rhode Island as well as proving that you were properly read your rights and that other legal requirements were met. If you lose the criminal DUI case, you will have a criminal conviction on your record. A criminal conviction can severely hurt employment opportunities and in some case lead to loss of a job. Also, a second or third conviction for DUI/DWI will mean mandatory jail time. 2) Are there any bright line rules in Rhode Island? a) Yes. If you are absolutely positive you will pass, take the Breathalyzer test. b) If someone is injured in an accident – refuse the Breathalyzer. c) If you already have a criminal DUI within the past 5 years, then you must refuse because you face mandatory jail time. d) If you are in a profession in which a criminal conviction may hurt your career or subject you to professional discipline, i.e. lawyer, politician, teacher, then you probably should refuse. If the bright line rules don’t apply, then what? Use a balancing test. You need to balance your need to drive your automobile versus what effect a criminal conviction will have on your life. If you absolutely need your license for your job and a criminal conviction will not affect your life, then take the test if none of the bright line rules (such as an injury) apply. If you take the Breathalyzer test, you will not automatically lose your license and can drive while the criminal case is pending and will only lose your license if you lose the case. Your chances of winning the criminal case and retaining your license is much greater than a refusal case. However, the flip side is that if you lose the criminal case, then you will have a conviction on your record and minimum jail potential for a second offense. 3) Does Rhode Island allow a person to drive for work after their license is suspended for DWI or refusal? Yes. there is a law allowing people to drive to and from work with certain rules. Rhode Island Attorneys legal Notice per RI Rules of Professional Responsibility: The Rhode Island Supreme Court licenses all lawyers in the general practice of law, but does not license or certify any lawyer or attorney as an expert or specialist in any field of practice.